Wednesday 4th June 2014, 6:30 pm. Lean UX is an method of combining Lean Startup, User Centred Design and Agile Methodologies to deliver faster learning and customer satisfaction. Lean UX focuses on learning and iterative design and development, and advocates balanced teams of UX/Development/Product all working together. This talk will discuss principles and practices we've found useful to help you start getting UX into your process. Spencer is Principal at Neo. He's a consultant, coach and mentor in Lean UX & Agile UX, an ex-designer, sometimes ruby programmer, and ardent proponent of visual communication. 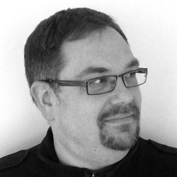 He's run UX workshops at Scottish Ruby Conference and mentored at Startup Weekend. He facilitates workshops, works with teams to builds products and helps companies from International banks to 2 person startups to understand and solve their problems better.